The manufacturer claims it is unique because it combines a reading light with a sunset feature and nightlight. The fully adjustable low-blue light allows for a level of brightness that’s comfortable to read next to without stimulating your child. The 15-minute sunset is designed to create a gradual transition to night that can either fade to off or to a reassuring orange nightlight which has two light intensity options. The light control is smooth and silent so you can easily check on your child without disturbing them. Lumie designed Bedbug at its Cambridge-based headquarters based on scientific research and in consultation with parenting expert and author of the bestselling The Gentle Sleep Book, Sarah Ockwell-Smith. “Most nightlights that parents use in their children’s bedrooms are bad for sleep, because they inhibit the release of the sleep hormone melatonin,” says Ockwell-Smith. 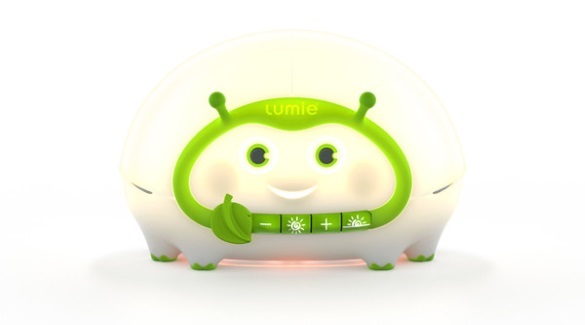 Set to retail for around £59.95, Lumie Bedbug is available for pre-sale orders from today on Lumie.com with the product available from 1st September 2017. It will also soon be available from Amazon, John Lewis and Boots.